Terriss, Mary Ellaline (1871-1971): Lady Hicks, was the daughter of the Adelphi favorite, William Terriss, but she never appeared at the Adelphi. 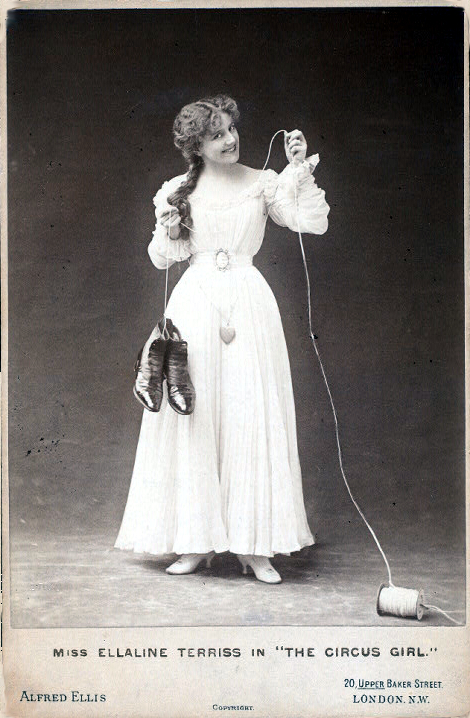 Ellaline made her debut at the age of 16 in Cupid's Messenger at the Haymarket and specialized in Edwardian musical comedies. She married the actor-producer Seymour Hicks in 1893. In 1897, when her father was murdered, she received enormous public sympathy and returned, a year later to the stage in A Runaway Girl.